My fascination with weather was on overdrive last night as I watched coverage of Sandy hitting the East coast. The news channel showed footage of giant waves crashing onto the shores in Ohio. It was pretty remarkable. As much as I hate knowing folks have died in the storm, I still am in awe of it. 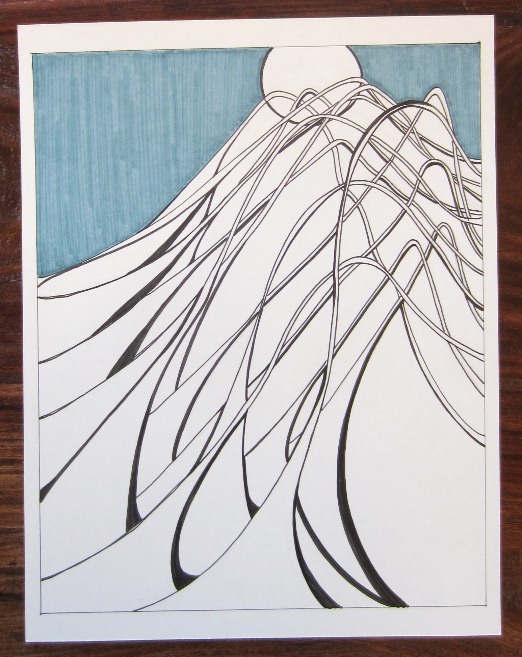 This 8 x 10″ drawing is my interpretation of those waves and the full moon that shown brightly in the Colorado sky I was seeing last night.